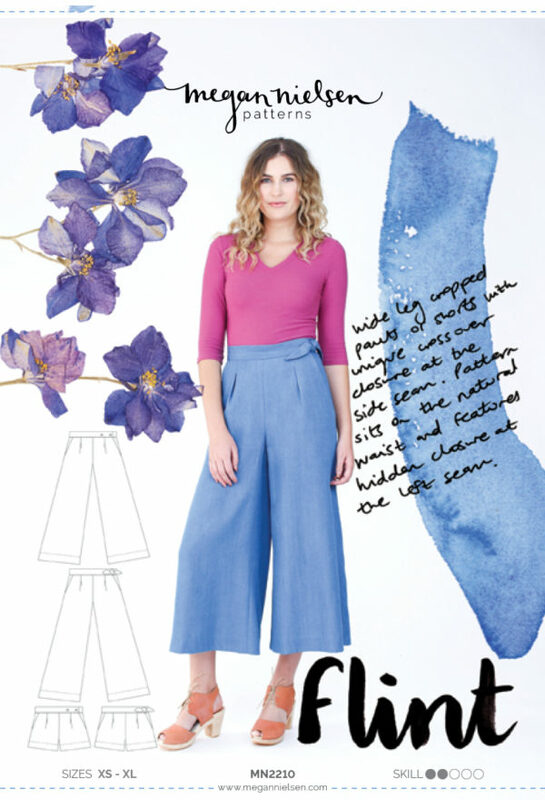 The Flint pants and shorts pattern currently includes release tucks, and today I’m going to show you how to alter your pattern to remove those release tucks and convert your pattern to a flat front! 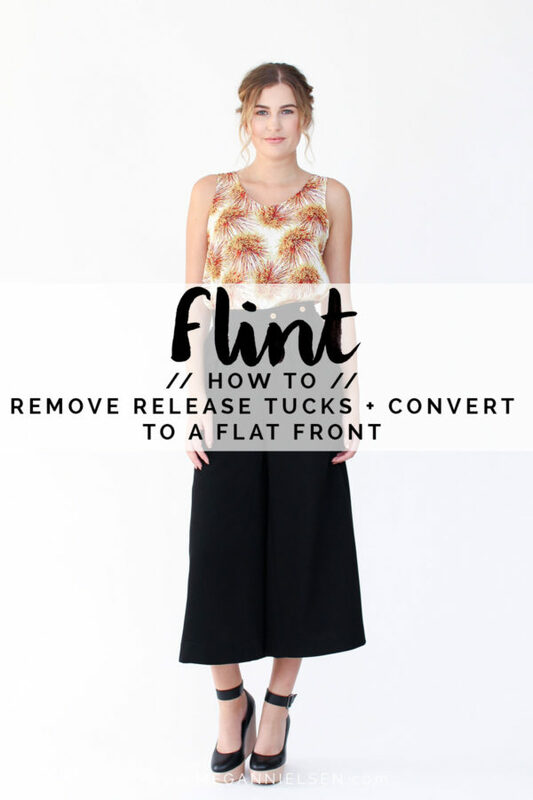 I absolutely love it when you guys come up with suggestions, and this tutorial is one that has been requested quite a lot since Flint was released – so i figured it would be a great addition to the Flint sewalong. Now that I’ve written it up I really want to try it myself! Before you start, don’t forget to trace your pattern before making any alterations, so that you can preserve your original pattern. 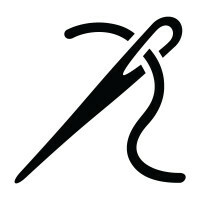 The only supplies you’ll need for this alteration are a ruler, sticky tape and tracing paper. The first step is to draw some guide lines and slash lines. 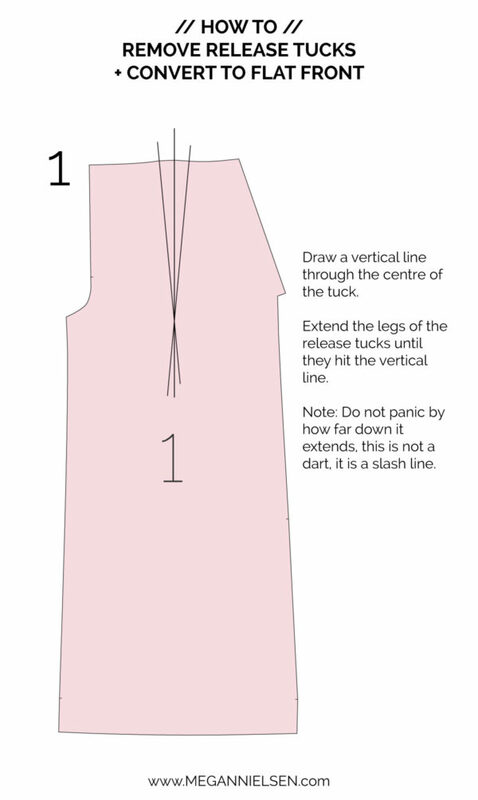 Draw a vertical line that goes through the centre of the release tuck (this is a notch on the Flint pattern) and down until below the pocket. Next draw lines through the release tucks to extend them until they touch the vertical line. This is going look like a giant dart (it’s not). Please don’t sew it like this or it will look ridiculous hehehe. Next up with need to draw some horizontal slash lines. 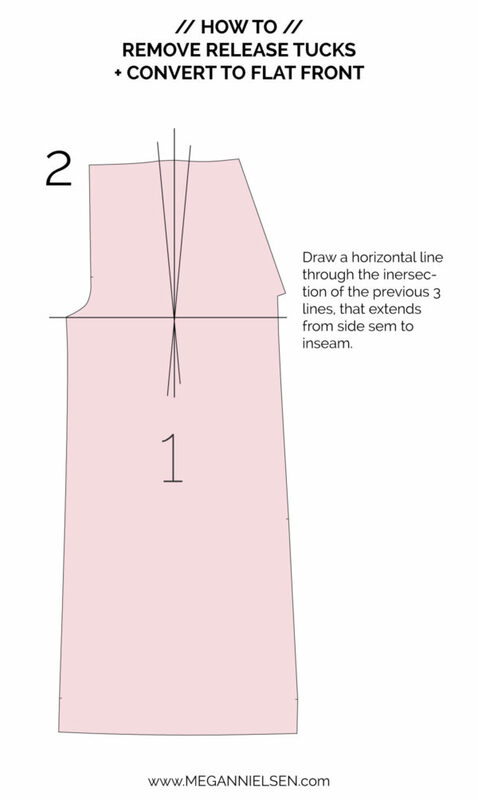 Draw a line that extends from the inseam to the side seam and goes through the intersection point of the previous slash lines. Now it’s time to slash your pattern! Cut down through the vertical slash line, until you hit the intersection point of all the lines. Then cut horizontally until the side seam leaving a small amount of paper uncut to act as a pivot point. 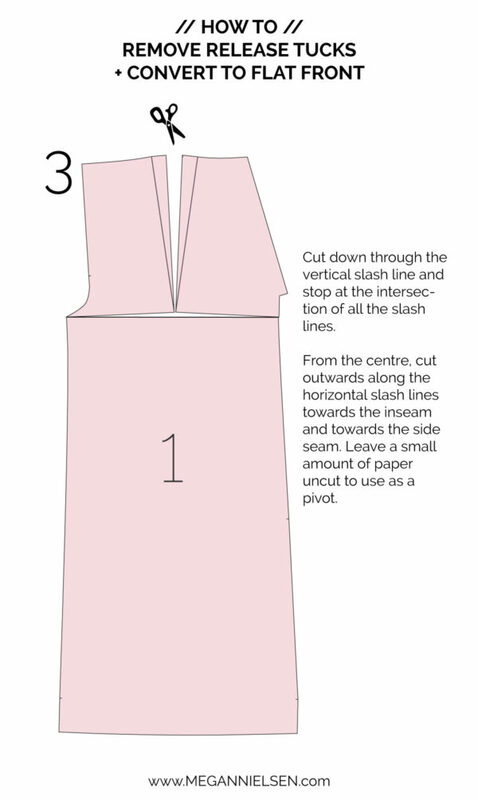 Once again from the centre point, cut horizontally towards the inseam and leave a small amount of paper uncut to act as a pivot point. 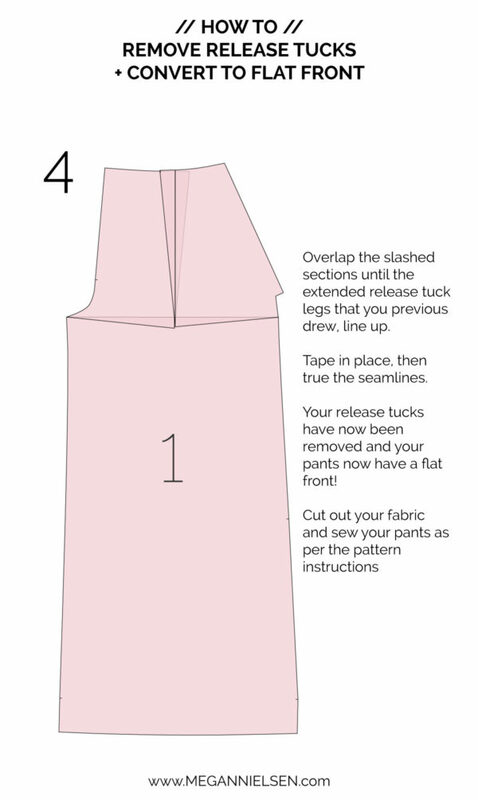 Lastly, overlap the slashed pattern sections until the release tuck legs line up in the centre. Tape in place and then true your side seam and waist seam, by adding or trimming back pattern paper until the seams are smooth and not jagged. Now your release tucks have been removed and your pants have a flat front! You can cut out your fabric and sew your pants as per the pattern instructions! Thank you so much for this tutorial!!! It is so great! I will be doing it in the future with some of my pants. I really appreciate it! Thank you so much for this. I love the design of Flint, other than the release tucks, which just do not suit my body shape at all. The point where the three lines meet is below the point you have marked in your illustration, so the horizontal line is below the crotch point – assuming that’s okay?